U.S. Senator John McCain responded Thursday to President Vladimir Putin's op-ed in The New York Times by publishing a sharp rebuke of the Russian leader titled "Russians deserve better than Putin" on news website Pravda.ru. In the article, McCain addressed Russians — mirroring Putin's op-ed that spoke directly to “the American people” — and said that his usual criticism of their country does not mean that he is anti-Russian, but rather "more pro-Russian than the regime that misrules you today." McCain wrote that Russian authorities constantly "perpetuate their power and excuse their corruption" and goes on to litany his problems with the Putin regime, including recent laws targeting NGOs and limiting gay rights, criminal cases against opposition activists, corruption in the judicial system and unfair elections. "He has given you a political system that is sustained by corruption and repression and isn't strong enough to tolerate dissent," McCain wrote. The article was prompted by Putin's op-ed published last week in which the Russian president cautioned the U.S. against military intervention in Syria. Putin also said it was dangerous for America to think of itself as exceptional, a reference to a comment Obama made. In response, McCain blamed Putin for allying with some of "the world's most offensive and threatening tyrants," such as Syrian President Bashar Assad. "He [Putin] is not enhancing Russia's global reputation. He is destroying it. He has made her a friend to tyrants and an enemy to the oppressed and untrusted by nations that seek to build a safer, more peaceful and prosperous world," the U.S. senator said. McCain is also a vocal supporter of the Magnitsky Act that bans Russian officials implicated in human rights violations from coming to the U.S. and holding assets there. He said crimes against Sergei Magnitsky, the law's namesake who was arrested and died in prison shortly after uncovering a large corruption scheme, was a crime against the Russian people as a whole. Many pointed out that the Pravda.ru news website is not the same thing as the Pravda newspaper, the official mouthpiece of the Communist Party dating back to Soviet times. It was unclear whether McCain had thought that Pravda.ru was an online version of the Communist newspaper. Putin ally Alexei Pushkov, who heads the State Duma's International Affairs Committee, dismissed McCain's article, saying it would not receive the same kind of media attention that Putin's article did. 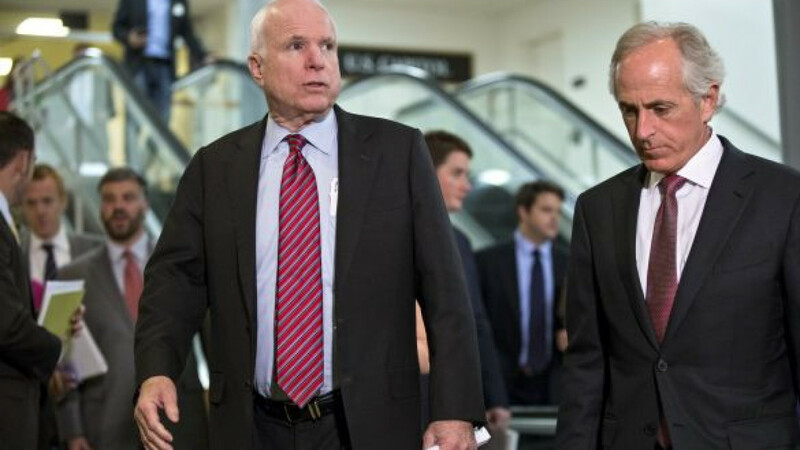 “McCain's article repeated words that have been said many times by Western politicians and journalists,” Pushkov told RIA Novosti. Some anti-Kremlin activists, in turn, responded with praise for the op-ed.